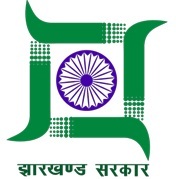 Chatra Lok Sabha constituency is one of the 14 Lok Sabha (parliamentary) constituencies in Jharkhand state in eastern India. It covers the entire Chatra and Latehar districts and part of Palamu district. Until 1977, Chatra was one of the vasted Parliamentary constituencies with parts of Gaya, Hazaribag and Palamu districts. The districts of Chatra and Latehar came into being much later. Sans Panki, all the assembly segments namely Chatra, Simaria, Latehar and Manika are reserved seats, whereas Chatra continues to be an unreserved Parliamentary constituency.